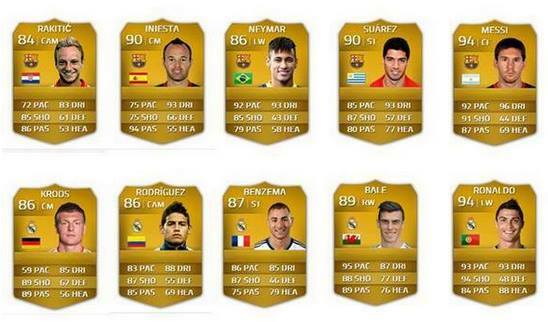 We can’t be entirely sure if this is legitimate, but this snapshot of player ratings from the soon to be released FIFA 2015 game has today been circling the internet. 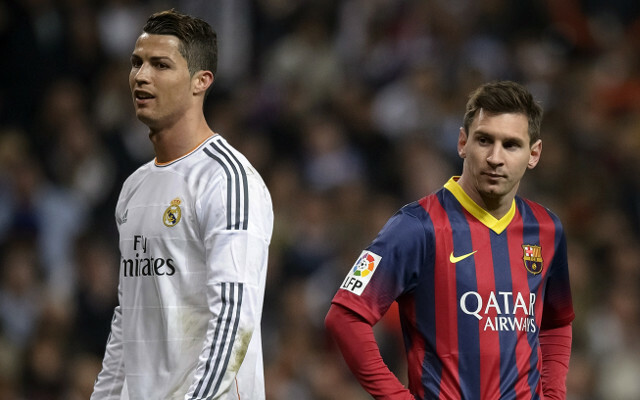 Ballon D’or holder Cristiano Ronaldo goes level with Lionel Messi on 94, while Barcelona’s new superstar signing and former Liverpool man Luis Suarez is rated just behind them on 90. The world’s most expensive player Gareth Bale is rated at 89 after his Champions League winning season last term, while £63m summer signing James Rodriguez is rated at 86 – following his six goals at the World Cup.